When people ask what I write, I almost always say science fiction. I almost never say fantasy, even though in many ways fantasy is my first love, going all the way back to reading The Hobbit and Watership Down and Roald Dahl when I was a kid. I’ve wondered lately why that is: am I embarrassed that I read and write and teach fantasy fiction? In spite of all the blessings of nerd culture entering the mainstream, I guess I do feel more guarded about my love of fantasy. Both fantasy and sci-fi are snobbishly dismissed as escapist genre writing by some who have a very specific, Harold Bloomish notion of what literature is (I say “Bloomish” because the real Harold Bloom has been a vocal supporter of the work of fantasists like John Crowley and Ursula LeGuin). But even in the realm of nerd fiction, I get the impression that it’s more popularly acceptable for adults to be into science fiction than into fantasy. Perhaps that’s changed in the current market of the Lord of the Rings-Industrial- Complex and Game of Thrones. But I think there’s still a residual shame for many folks about their love of fantasy. Science fiction is about heavy, heady ideas: the ethics of progress, the shape we want our future to take. What’s fantasy about? Dragons? Here’s an answer that took me a while to come to, but which makes me more ready to tell strangers that I write fantasy: fantasy–if it’s good–looks at the human experience sideways. All art is about what it means to be human, but fantasy (like surrealism or avant-garde music) takes a look at the human experience from an oblique angle, representing our fears and desires as creatures and powers that don’t exist in the everyday. This is what mythical stories did for earlier people, and fantasy for me is an attempt to apply mythical thinking to fiction, in a world where change comes too quickly and radically for traditional myth-making structures to keep up. 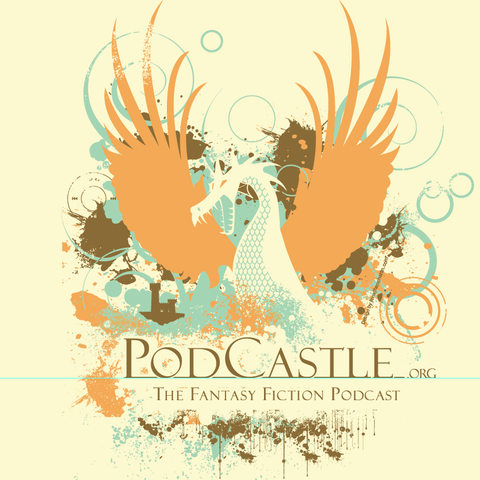 I’ve definitely written more science fiction than fantasy, but this last week I had a fantasy story picked up at the first place I’d sent it (PodCastle, the amazing fantasy podcast). I’m excited to hear it read, and to have others hear it, and I’m ready to say to people, when they ask, that I write science fiction and fantasy, and to be able to say why I do.